I love a good puzzle. Something that isn’t so simple that it insults my intelligence, but nothing too difficult that it would leave me frustrated. “The Maze Runner” is like that. It’s not predictable, but it didn’t leave me frustrated. This is where my analogy fails. I wanted “The Maze Runner” to leave me frustrated. I wanted it to make want to run to the bookstore because I couldn’t wait another second to read the next book. “The Maze Runner” is a well-written book that lacks the intensity it needs to make it great. “The Maze Runner” is about a boy named Thomas who wakes up in a place he doesn’t remember. In fact, he has no memory of his life at all. He instantly surrounded by other teenage boys (who also have lost their memories) and learns that he must live in this community run by these boys. A new boy (sans memory) is delivered every month. The place is called the Glade. Outside of the Glade is the Maze. For two years, the boys have been trying to find an exit in the Maze, but the walls of the Maze shift and deadly monsters lurk, proving the task very difficult. Thomas’ arrival is something different though because the next day, a girl (the only girl ever) arrives to the Glade. Thomas can’t help the feeling that he already knows her. The world of the Glade is a bit odd. I didn’t really take to it. The slang the boys used was mildly annoying. The parts when Thomas is in the Maze are the most interesting. Yet, those scenes lacked intensity. I didn’t need to know what would happen next; I could’ve out the book down and walked away. The only thing that kept me reading was so I can write this review. I don’t know what the author, James Dashner, could have added to make the book deeper. The book is well-written, has a solid plot and is unique and unpredictable. Maybe a better focus on the characters’ emotions would have given it some edge. Maybe its sequel, “The Scorch Trials,” will go the emotional angle. Or maybe the book/series isn’t for me? I would recommend this book to people who like a good plot with hardly any character/emotional development. 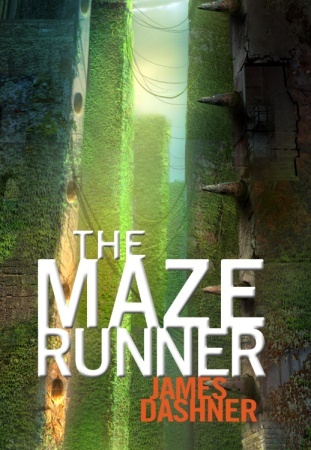 “The Maze Runner” is available in the TYF Store, click here to buy! Previous ArticleWhy is 'Glee' creator Ryan Murphy hatin' on Kings of Leon? Next ArticleIs Kristen Stewart to star in 'Snow White and the Huntsman'?